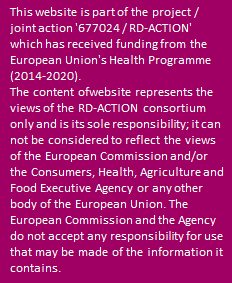 This WP builds on the work previously developed within the EUCERD Joint Action (EJA) intended to support the implementation of the EC Recommendations relating to rare diseases at the MS level Despite significant progress under the EJA towards implementing the Council Recommendation on an Action in the field of rare diseases (RD) and the Commission Communication (‘Rare Diseases: Europe’s Challenges), many policy areas would benefit from additional pan-European collaboration. The WP team works with stakeholders to prioritize topics and carry out corresponding supportive actions, where there is a need to foster the implementation of policies. Develop and implement a methodology to support the development of policies and recommendations in association with all relevant stakeholders.